This article was published on 07/04/2008. Developers are always finding ways to extend a game's length without actually adding more content. It's like they say; less is more. 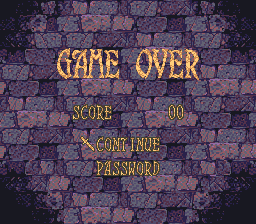 One way developers used to do this in the old days was the infamous "game over" screen. If you lose all your lives on the last level, then it's back to the beginning for you. This technique is rarely used anymore, but developers still manage to find ways to artificially extend a game's length. Some other methods include tons of repetitive side quests, replaying the same game with multiple characters, annoying achievements, and so on. In severe cases, removing all of this fluff dramatically downsizes the game's length. 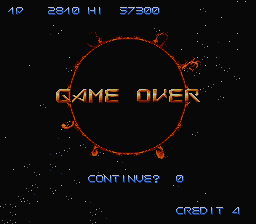 While these things are also deplorable, they're ultimately better than the game over screens of yesteryear. It's no secret that video games have benefitted from forsaking this archaic way of the past. Repetition is a great way to get people to retain useless information. It may take a life time to forget something you've repeated endlessly. Repetition is not only useful for extending a video game's life cycle, but making players remember it, too. It's no coincidence that people tend to remember older games over newer ones. Game over screens had a little something to do with that. It's not necessarily the higher difficulty, though that does contribute to it. The focus is on how much progress the player has lost. When save systems became the gold standard, this module of operation was abandoned. You might be led to believe that the save systems are to blame for this, that they are the true culprits. This is true, but it goes deeper than that. 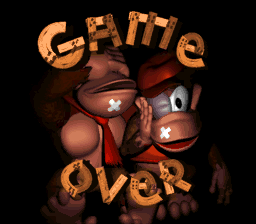 Games used the game over system as a copout. They weren't providing enough to be memorable on their own, so they had to forcefully implant themselves in our memory. This becomes readily apparent when experiencing modern games that are instant classics. Despite newer games being substantially easier, some of them still manage to be very memorable. Yes, repetition is a good way to retain information, but so is an awe inspiring experience. Not to mention players may still get the repetition as a side benefit, since people may replay awesome games just to experience them again. The key difference here is that people will be replaying these games of their own volition, not because they got a game over screen. It's not easy to create lengthy games and it's sometimes not very cost efficient, so a great strategy is to make a short game seem long. Game development is a business. Companies often issue tight deadlines to their development teams, who are constantly trying to devise ways to shorten the process. When placed in a tight position, developers often choose to make deals with the devil. Some shudder at the thought of resorting to such unjust techniques, while others relish in it. Whether out of desperation or innate deviousness, a game developer should be well aware that they will be assigned to a new role if they decide to walk down this nefarious path: the player's enemy. That is the least favorable role for developers, especially if they want people to enjoy their game. It goes without saying that developers should take the time to make a lengthy game without padding it with unnecessary garbage. Short games aren't necessarily a bad thing, provided that they are good. Developers should focus on making good games as opposed to making games longer. Even if a game's length is extended through actual content, it's all for naught if the game is a pile of trash. Alas, greed is not something that man can easily overcome. As such, it isn't difficult to find countless developers who have taken the nefarious route of lazy length. The problem is far less prevalent today than it was in the past, but that has a lot to do with how game designers have been finding newer ways to disguise it. Not all games are blatant in the way they hide their artificial lengthening techniques. This will be an eternal problem for the ages. 1,388,053 people love this site.